We know that a Chanson water ionizer is a valuable investment for you and your family that not everyone can afford in this economy. But some of you cannot afford to wait either. The average Chanson water ionizer will pay for itself in 2-5 years when you consider how much money you will save on bottled water, household cleaning products and skin, beauty and hair care products. 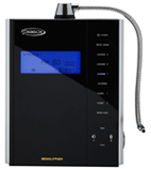 Want your own water ionizer but think you can’t afford it? A Chanson water ionizer is quite possibly one of the best investments that you can make for you and your family, and the sooner you get yours the sooner you will be able to start enjoying the many benefits! Soon you won’t be able to remember how you ever lived without it. Catch the next live broadcast over on our Facebook page Wednesdays at 3pm PST.